Larry Goldberg, who has led west suburban Loyola University Health System since 2011, is trading Chicago's bitter cold for Arizona's sunny skies. 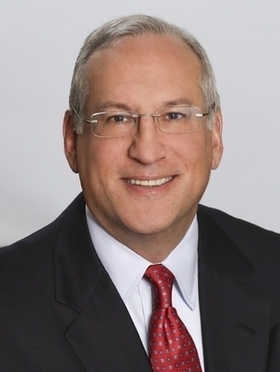 Goldberg, 56, will be president of the university medical division at Banner Health, a nonprofit based in Phoenix with 28 hospitals and other ventures in six states. He'll oversee two academic medical centers affiliated with the University of Arizona College of Medicine. He resigns effective April 13, Goldberg told Loyola employees in an email today. "All of us come to these jobs with the hope of making our organizations a better place to work," Goldberg wrote. "But I've learned that Loyola made me better—hopefully a better leader, but no doubt a better person. The values of this institution that are embodied in that word Magis are what I will take with me. I'll take them with me because I've seen them lived out in your actions every day. For that, I can never adequately thank you or repay you." At Loyola, Goldberg has led the nonprofit, two-hospital academic hub in a fiercely competitive health care market undergoing sweeping change. Hospital beds are emptying out as cheaper outpatient care becomes more popular. Medical centers are racing to partner up to survive the financial pain that includes climbing drug prices and patients who can't afford their high-deductible health plans, sticking hospitals with their medical bills. Maywood-based Loyola, which is part of national Catholic hospital chain Trinity Health, is slated to get even bigger. The system is in a deal to buy MacNeal Hospital in nearby Berwyn from for-profit giant Tenet Healthcare for about $270 million. In Goldberg's email to employees, he ticked off a host of accomplishments, including growing Loyola while treating some of the sickest (and most expensive) patients in the state, and expanding outreach through more than 70 affiliations with hospitals, health systems and doctors groups across Illinois, Indiana and Iowa. Before arriving at Loyola, Goldberg led Vanderbilt University Hospital in Tennessee and was a vice president at Northwestern Memorial Hospital in downtown Chicago. "Loyola health system CEO takes job out west" originally appeared in Crain's Chicago Business.